Please refer to this example for help with your check stub. State taxes have been deducted and paid where required. Have your lease number and owner number ready when contacting us. No duplicates will be furnished. Retain this statement for tax purposes. Interest type- WI-Working interest, RI-Royalty Interest, ORRI- Overriding Royalty Interest, etc. Please refer to this example for help with your 1099. This amount represents the gross payments made to you during the tax year that were reported on Form 1099-MISC. 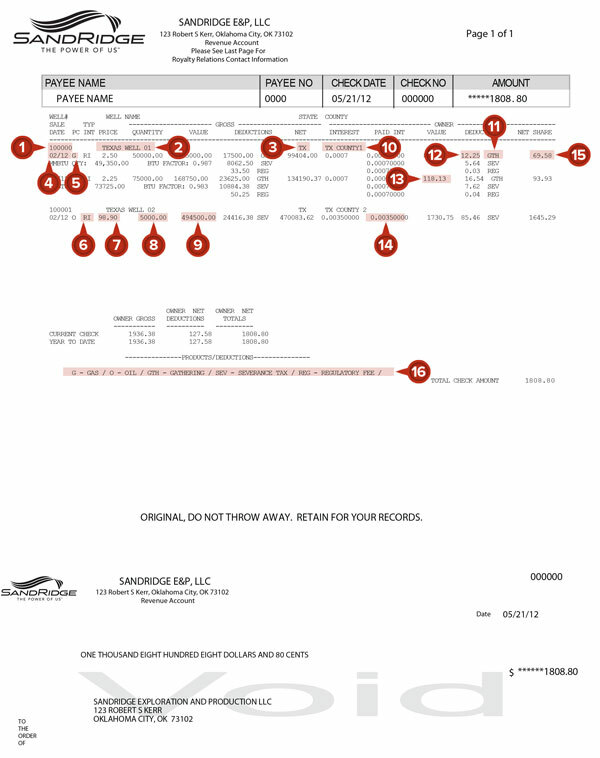 This amount represents lease taxes (severance, etc.) associated with (A) that were remitted on your behalf. This amount represents post production lease expenses (gathering, etc.) associated with (A) that were paid on your behalf. 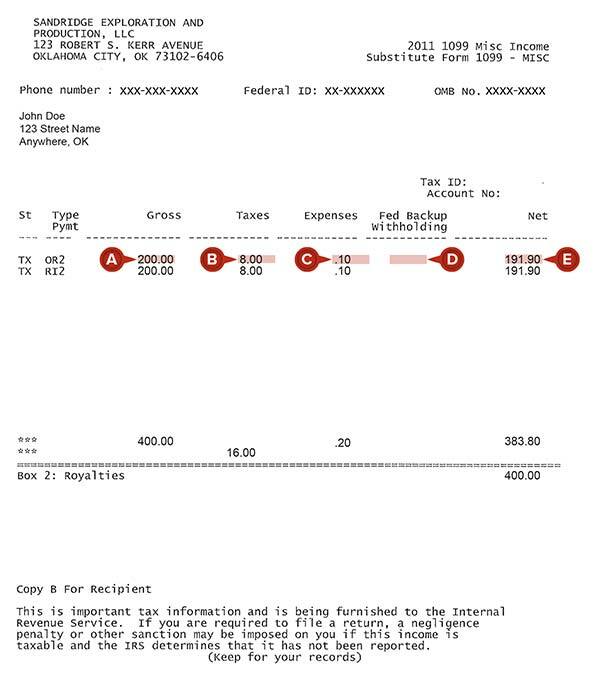 This amount represents the Federal income tax withheld associated with (A) that was remitted on your behalf. This amount represents the net payments made to you during the tax year associated with (A).